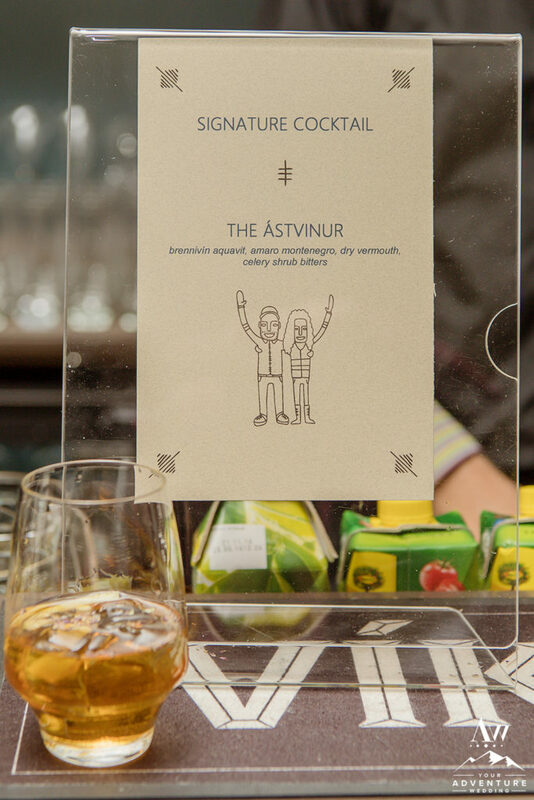 During your Iceland wedding reception, it’s nice to have some personal touches for your guests to marvel over. One of my favorites that is a simple, yet delicious detail to add into the mix that makes a stylish impression is having a Signature Drink. Today I’d love to share with you some fabulous Iceland cocktail recipes that a few of my previous clients have used (and a couple new ones) that will not only include Icelandic liquors but will leave your guests ultimately impressed! Note: You can expect to pay somewhere between 1,800-3,400 ISK per craft cocktail. Do you have a favorite Icelandic cocktail? Tell us what it is by leaving your recipe in the comments! 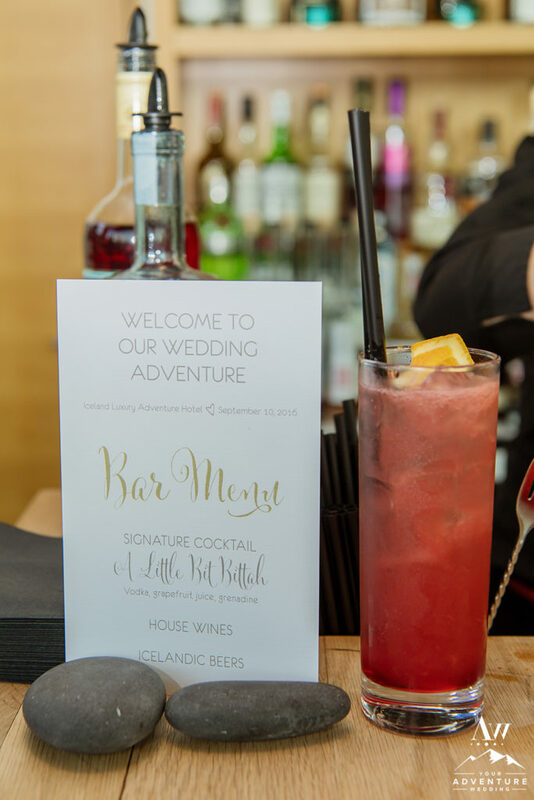 Having a cute little sign on your Iceland wedding reception bar is a nice thing to do to announce your fabulous Signature Drink! See below how our clients have displayed it.